The history of The Fuellers Company can be traced back to the Livery Company of Woodmongers and Coal Sellers, commonly known as The Fuellers. The earliest known references to that Company appear in 1376 and its Royal Charter was granted by King James 1 in 1605. Responsible for collection of coal dues and taxes, the Company handled the monies and it was used to rebuild much of the City after the Great Fire of 1666, including St. Paul’s Cathedral. It surrendered its Charter in 1667, but references to The Fuellers continued until the mid 19th century. Various bodies continued to represent the interests of the coal trade until the combined efforts of The Society of Coal Merchants, The Society of Coal Factors and the Coal Meters re-established a City Company. The Fuellers were granted City Status on 13th October 1981, Livery Status on 15th May 1984, received its Letters Patent on 17th October 1984 and in October 2014, the Fuellers received confirmation of the Grant of Royal Charter from the Privy Council. Since the re-establishment of The Fuellers in the 1980’s, our membership has steadily grown and diversified across the whole energy industry. Today’s members represent the coal, oil, nuclear, gas, electricity and the renewable energy industries, as well as specialisations within those industries such as production, supply, distribution, marketing, finance, education and research. A significant development for the Fuellers was gaining the privileged use of an outstanding Livery Hall in the City of London. 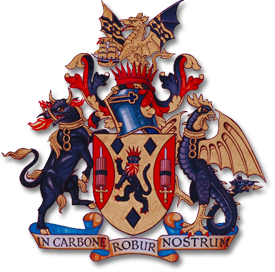 In 2012 we established our own permanent office and also obtained special access to the Worshipful Company of Skinners’ Livery Hall in Dowgate Hill. This enables us to hold many, lunches, dinners, ceremonies and meetings in these interesting, beautiful and historic surroundings. To herald the 25th Anniversary of the re-establishment of The Fuellers, historian and author Roderick Braithwaite was commissioned to research and write a history of The Fuellers. The book, entitled “The History of the Worshipful Company of Fuellers, The Fueller’s Tale” (ISBN 978-1-86077-578-9) was published by Phillimore & Co in 2010 and is a fascinating and worthwhile insight into the history of the Company.